In September 2002, I was the victim of a boating accident in which the propeller carved into my back four times severing all the major muscles on the left side of my back and cutting into five bones in my spinal column. During my time in the hospital I made a list of items I wanted to achieve during the balance of my life. The first on the list was to walk. Also on the list was to lift my young children and return to my job. Then, I got a little crazy and included running a marathon, racing up the stairs of a skyscraper and completing the Ironman. Following an extensive period of rehabilitation I was able to achieve all those items on my list. 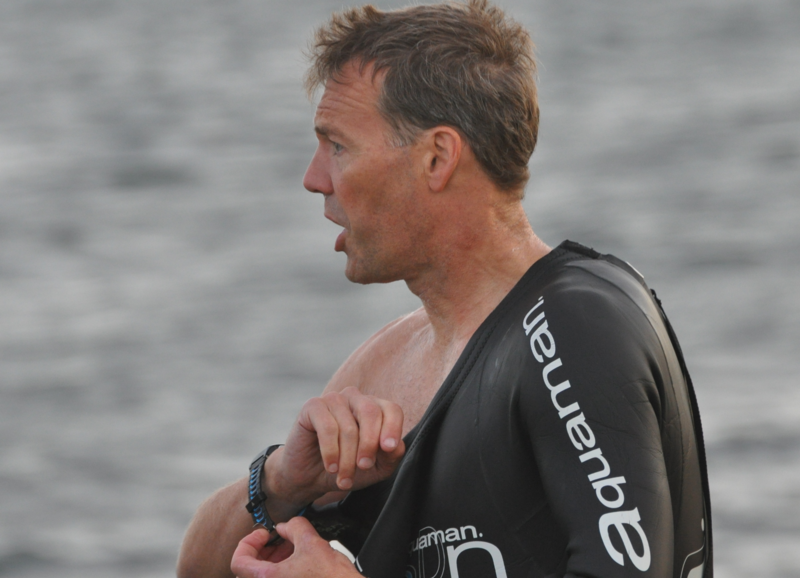 The last item on my list was to complete an unprecedented ocean swim. While convalescing, I learned how the financial and emotional burden affected my family. Returning home from the hospital, I didn’t have the strength to go upstairs to my bedroom, so I purchased a bed to put in the dining room on the first floor. My lovely wife moved the furniture aside to afford me a wide path for my walker. The bed I needed was mechanical because I couldn’t lift myself up or down and it was very expensive. I needed other medical accommodations to move around my house as well as I needed the time and support of my family members to provide me with basic human care. Years later, I’ve come to appreciate just how fortunate I was to be able to afford the durable medical goods and rehabilitation services I needed to recuperate. It was in this revelation that I dedicated myself to creating an event to help share the financial burden with other spinal injury patients. On August 9, 2018, I plan to swim across the English Channel. The distance between the two points is approximately 21 miles, but the current of the channel could make the swim as long as 30 miles. Further, as a special focus on spinal injury, I plan to swim the entire distance BACKSTROKE. I am very poor at asking people for help, much less money. But, today I am asking for both. My goal is to rase $50,000 for RISE Against Paraylsis. The entire sum will be used to provide durable medical goods for those whose lives changed as quickly as mine did. Please follow us on Facebook or you can write to me directly about swim details at info@trenttheroux.com.